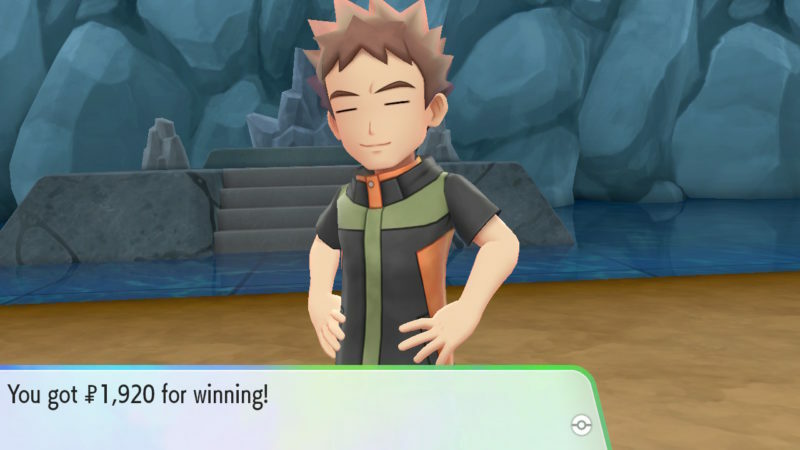 Brock is the first gym leader you have to face in Pokemon Let’s Go. 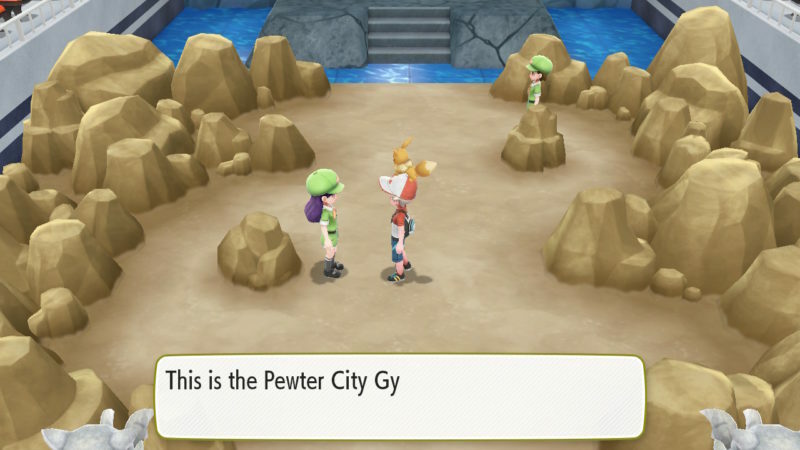 His gym is also known as the Pewter Gym since it’s in Pewter City. 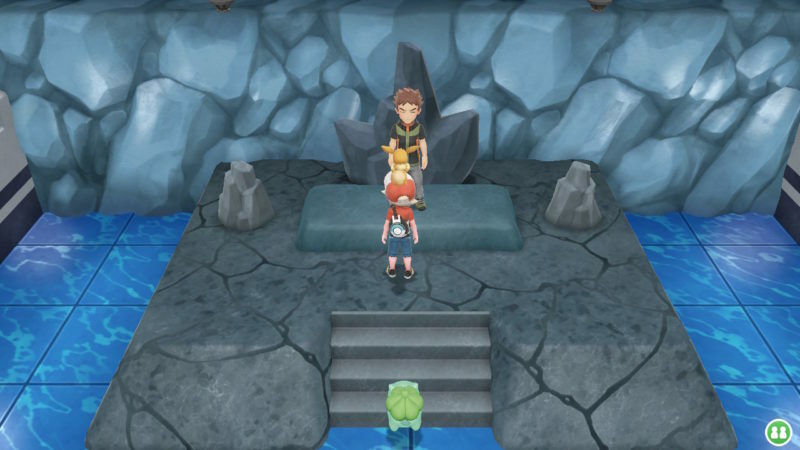 If you’ve been a fan of Pokemon from the start, this would have been expected, and you will have to face Misty next, just like in the earliest games and in the anime. Here’s how you can defeat Brock in his Pewter Gym and gain the Boulder Badge. As Brock’s specialty is in rock Pokemon, do expect the entire gym to be using the rock element. 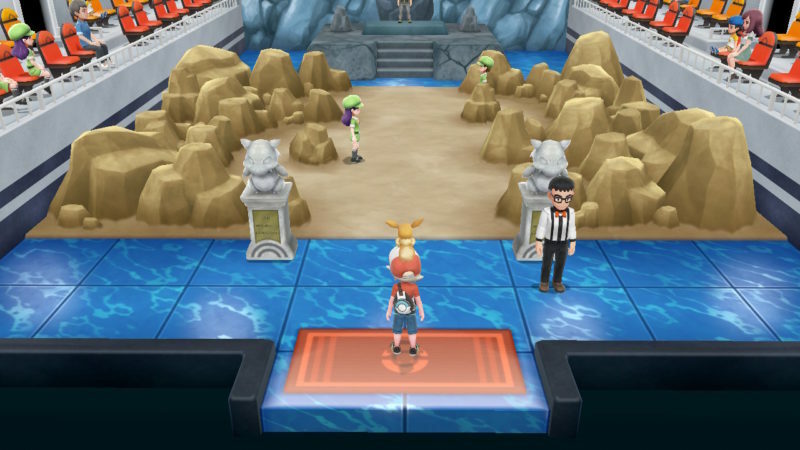 When you enter the gym, you have to face two of his trainers first. 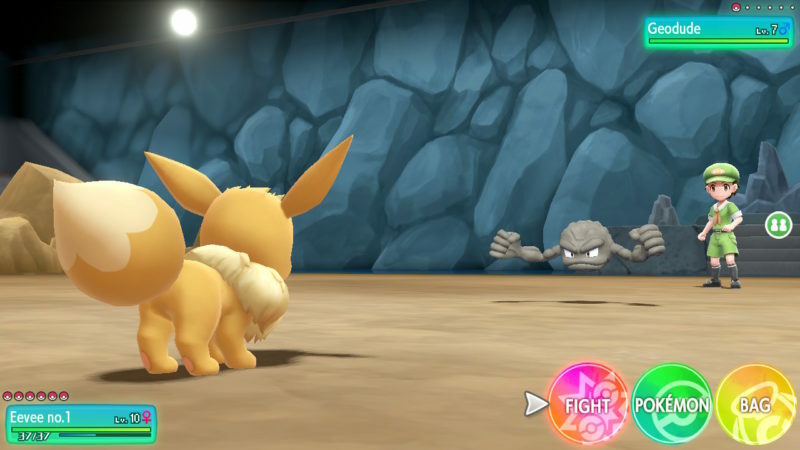 Both of them will only use a Geodude which is easy to bring down. Just grab a Bulbasaur to win matches against the two of these trainers. If you don’t have a Bulbasaur yet, you can probably find it in the Viridian Forest. That’s where I got my Bulbasaur. Otherwise, you can also use other Pokemon to battle but it takes longer if you don’t have water or leaf types. Once you’re done with the first two, you can finally confront Brock. He has two Pokemon that he will summon. The first one is a level 11 Geodude. 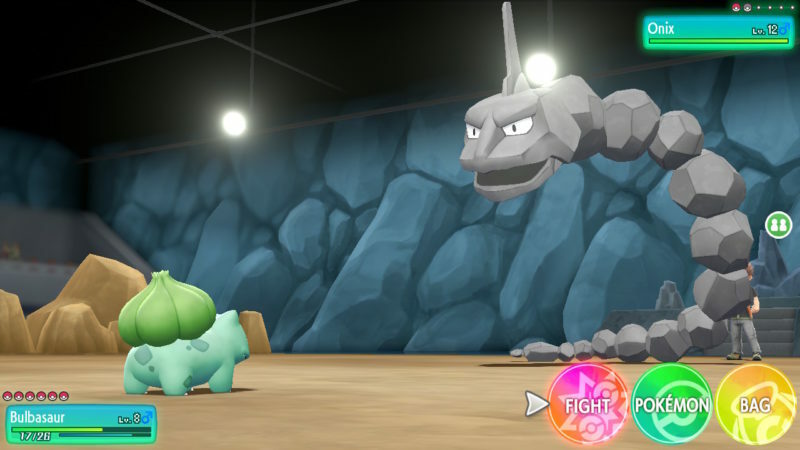 Once again, you can defeat Geodude using Bulbasaur’s vine whip attack. The second Pokemon Brock uses is a level 12 Onix. 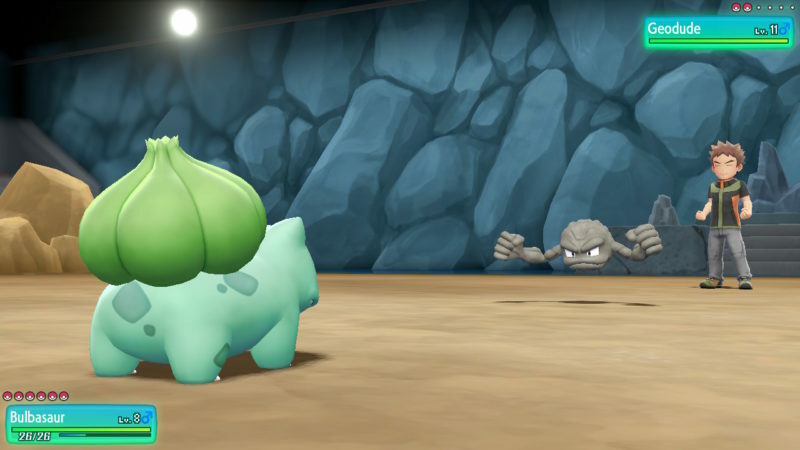 As it’s also a rock Pokemon, you can use Bulbasaur. If your Bulbasaur faints, any other Pokemon will do, as long as it’s neutral against the rock element. 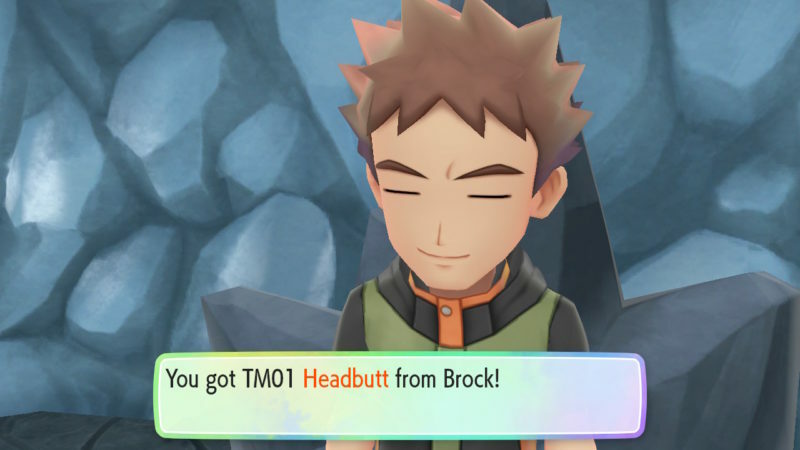 Once you’ve defeated Brock, he will give you a TM01 Headbutt skill which you can teach to one of your Pokemon. You will also earn 1,920 yen for winning. The Boulder Badge is also yours and you only need to collect 7 more badges. After getting out of the gym, you will meet Blue, who is Professor Oak’s grandson. 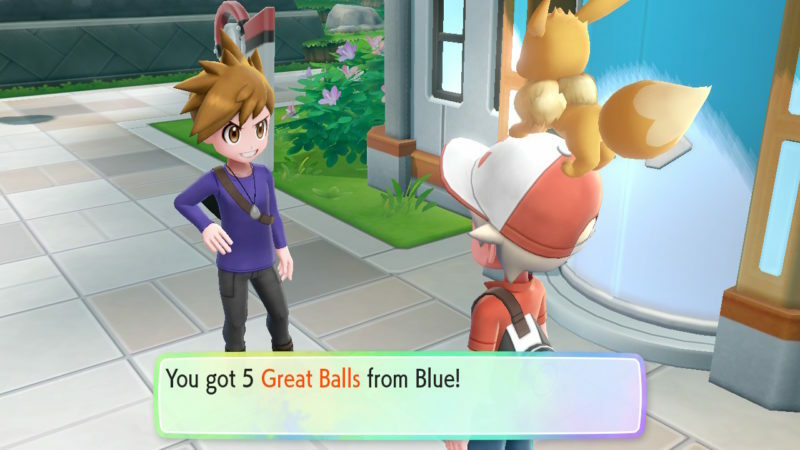 He will give you 5 Great Balls. And that’s it for this guide. 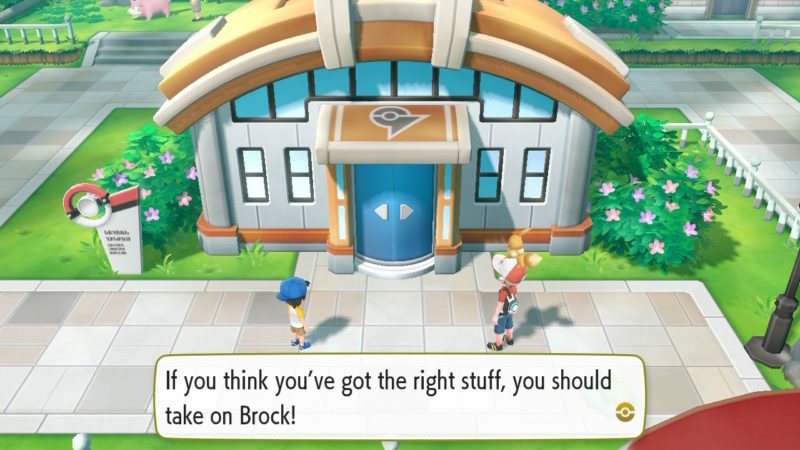 It’s pretty easy to bring down Brock’s gym in Pokemon Let’s Go.